Home > Addictions > 5 Pacts About Gambling You Made with Yourself, That You Haven’t Kept. Have you ever made a pact not to go gambling, but went anyway? I’ve compiled a short list of the 5 pacts about gambling you made with yourself, that you haven’t kept. 1. You won’t return to the casino or online gambling. The first broken promise, you said you wouldn’t return to the casino or that you would stop with online gambling, typically comes after a huge loss and the repercussions from this loss. For example, a maxed out credit card, after a particularly big loss that exceeds one’s credit limit creates a money shortage crisis. A different form of crises can be when; a spouse finds a credit card statement with multiple cash withdrawals all in one evening along with the absence of a plausible explanation. The later can come with threats of separation or divorce, in this example the gambler can revert to a “flight into health” where they declare that “this is the last time, no more, I promise you or I promise myself”. The “flight into health is usually short-lived however unless some significant form of intervention takes place over and above the “promise to quit”… More on this later. 2. You have a spend limit. The second promise to only spend the cash you have on hand or putting a limit on yourself (e.g. I will only spend $100 then I will leave) is a common form of bargaining for the gambler. The promise makes sense on one level, that it is good idea to not to spend more than $50 or $100 on gambling. So on the surface the gambler tells themselves “see I am not going to do anything crazy here, I am just going to spend this bit of money, have a good time then leave, …No problem in other words. So the gambler has just made a reasonable deal with themselves. Making this bargain allows the gambler back into the casino. However once back into the Lion’s Den, it is very unlikely that the gambler is not going to meet the lion. The “lion” is in the form of various stimuli like the sounds, sights, familiar faces of clients and staff, memories of winnings, etc., all come flooding back and everything changes including the promise to only spend a small amount of money. 3. Once you make a profit, you’ll leave. The third promise, to stop after a profit is made rarely happens. The gambler now enters into a bit of an ironic situation. Although winning is important and helps justify more gambling, the irony is that even winning does not stop the gambler as the gambler’s thinking now changes to “if I can win once I can win again resulting in further gambling. The gambler, on a deeper level is not as addicted to winning as they may think, they are addicted to the gambling process win or lose, a process that is almost certainly doomed to failure if one persists long enough. 4. You’ll only gamble one night of the week. The fourth promise is a form of bargaining much like a problem drinker who attempts to moderate by telling themselves that they will only drink on one night of the week. 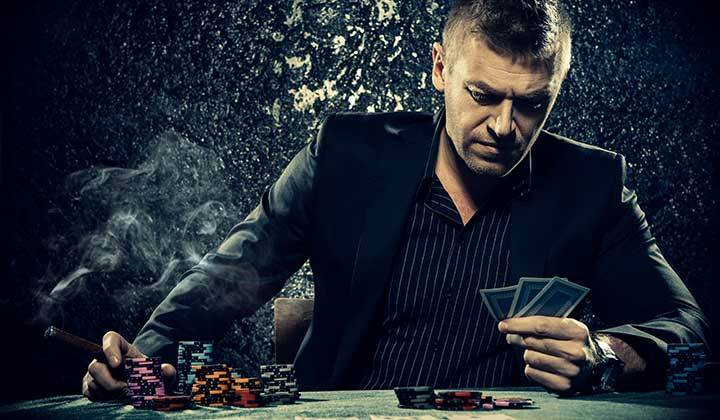 Sometimes it is possible to restrict oneself for a short period of time and be successful at limiting one’s gambling, however, some success in this regard has another negative outcome however. If one is successful at limiting, the normal response over time is to tell oneself that this is no longer a problem, that control has been established. The next step is often to change from one night to two nights (or days) of gambling. Similar to the previous promise success has a paradoxical effect where the gambler says “I am getting good at controlling this so I really don’t have to monitor myself anymore.”. After a few weeks or sometimes months the old pattern resurfaces again but by this time the gambler has lost objectivity…an example of how some success can breed failure. 5. You wouldn’t go to the casino, but today is your lucky day. The fifth broken promise is also known in gambling circles as “magical thinking”. Gamblers tend to believe that outside mystical forces are working with them on some days. The mystical force can be a feeling that somehow they just `know this is their lucky day` or the magical thinking can come in the form of a TV show where a character wins a lottery or some major prize. The gambler then starts to think that perhaps this is a `message from the universe` directed at him or her. So despite the promise the gambler made to stop, they can take these examples as messages that are saying `just one more time, something special is going to happen`. Of course there is no such thing as luck or special messages from the universe but rational thought often loses out to irrational thought. So what happens to you next? In order for you to achieve objectivity, an outside influence is required. The outside influence can take the form of either personalized counselling to address gambling or attendance at Gamblers Anonymous. In personal counselling, you now have an opportunity to understand how you talk yourself into gambling. The psychological changes that occur while gambling, the thought patterns that continue to invite you back to gambling, and lastly look more closely at underlying issues that may continue to lead you back to gambling. If you found this article helpful, please share with your loved ones. If you are looking for assistance with an addiction, please contact me today for a voluntary assessment.